As a new customer, your peace of mind is our goal. We want you to feel thoroughly informed about each step in the process of adding natural gas to your home. If you have any questions about our policies or procedures, please call our Customer Service Department at (865) 483-1377 or toll-free at (888) 483-1377, and we’ll be happy to guide you through the sign up process. We offer a free pre-installation inspection to give you expert advice. Our inspector will advise you on the best appliances to meet your needs. The service line is the outside underground line that runs from the gas main line located at the street to a selected meter location outside your home. The service line is usually installed within 3-4 weeks after your application is received, barring inclement weather or unusually high workloads which may delay this process. Once the service line is installed, you will be contacted to schedule the installation of your new gas appliance if ORUD is performing the installation. If a contractor is performing the installation, you will need to contact ORUD when the installation is complete to schedule a free final inspection. Advertised promotions that management deems necessary to promote growth of the ORUD system may be exceptions to the above policy. Any footage over the allowed service line credit will be billed at $2 per foot. 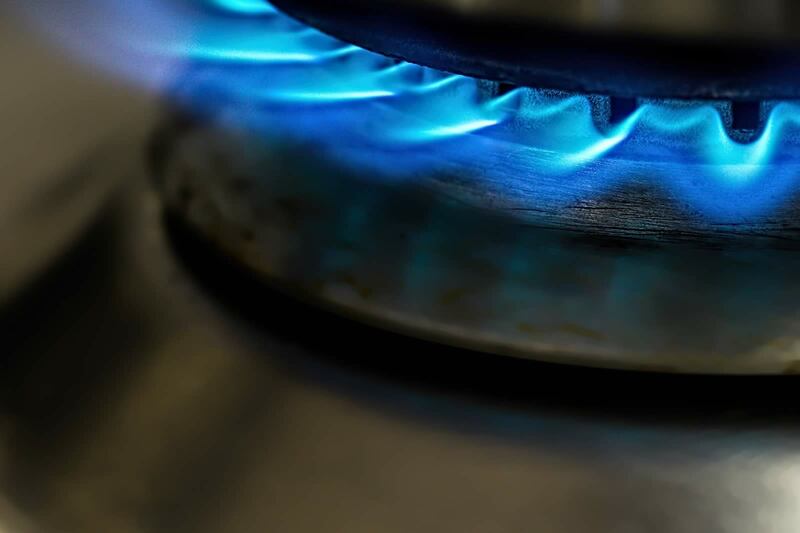 You are allowed 90 days after your service line is installed to have your natural gas appliances pass an ORUD safety inspection to avoid any additional charges. If this time frame cannot be met, please contact our office at 865-483-1377 or toll-free (888) 483-1377 to make an extension arrangement. The customer or contractor must call our office to schedule a final inspection after new appliances have been installed. This is a free service offered by ORUD, during business hours, to ensure the appliances are properly installed. Not that switching to safe and reliable natural gas isn’t its own reward, but we’re going one step further in showing our appreciation for you by offering two exciting incentives to our customers. Receive a free 40-gallon natural vent gas water heater! To qualify to receive a free 40-gallon natural vent gas water heater, you must be a homeowner converting from another energy source, such as electric or propane, and you must live within the ORUD service district. If you require a different size or model of water heater, then you will get $385 off the price when purchased from ORUD. You simply pay the difference! An ORUD inspector can assist you in determining the proper size and type water heater to meet your needs, as well as letting you know the installation costs by scheduling a free estimate. ORUD will apply a $385 credit on the consumer’s gas bill if a new natural gas water heater is purchased from another vendor and ORUD performs the installation. The sales receipt must be provided to ORUD within 30 days of the installation date. ORUD will apply $150 credit on the consumer’s gas bill if a new natural gas water heater is purchased from another vendor and is not installed by ORUD. An approved ORUD inspection and a copy of the water heater sales receipt must be provided within 30 days of the installation. The Mission of the Oak Ridge Utility District is to responsibly serve our customers beyond their expectations. Today we proudly serve nearly 13,000 customers and are continually growing.